Personalized and memoroble gift choice. This mini 5 inch , 12 panel soccer ball is made of synthetic leather which supports a genuine rubber bladder for long lasting air retention. Two panels to be autographed. 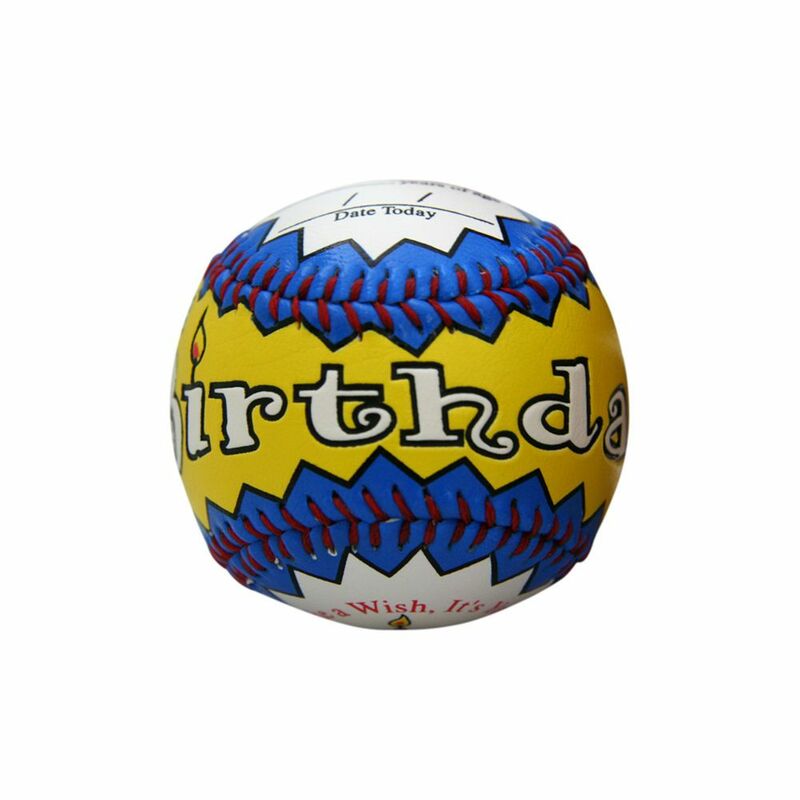 Happy Birthday Baseball Clam Shell Series of special balls from Counseltron. All balls come in a gift box. An official size and weight, hand sewn baseball. Personalized and memorable gift choice.